Every hunter has a preference when it comes to choosing their gear. Whether that preference lies with a specific company or the type of gear they use does not matter; but what matters is that they feel comfortable and content while they are out hunting. A well - established company that makes incredible gear is Meopta Sports Optics. Through their time in the industry and investment in manufacturing, hunters everywhere are gaining success from their contribution. 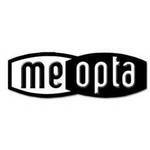 Meopta Sports Optics has a long standing history in the sporting industry, dating back to 1933, in Czechoslovakia, where their creation of enlarged objectives began. The company was created by a physics professor, named Dr. Alois Mazurek and an entrepreneur, named Ing. Alois Beneš. Over time, their company has grown, and more products have come into creation as technology has advanced the hunting industry. Around the year of 1960, a company that manufactured grinding wheels, called the Tyrolit Company, was born in New York City. Eventually, they began to manufacture optic products as well, and in the 1990’s, they combined with Meopta Sports Optics, producing their hunting products in the United States. Over many decades, the philosophy of Meopta Sports Optics has rooted strongly in all that they do. With their strong value of customer service, exceptional quality, and superior performance, they strive to bring their originality of expertise to all of their products. Meopta’s ownership has changed over the years due to its long standing expansion within the hunting industry. They now are an international company, operating both in the United States as well as the Czech Republic. Their tradition holds strong in the products they make, and their manufacturing facilities help them produce the highest quality of products, so they may serve the industrial, military, and consumer markets that are out there in the hunting and outdoor sporting industry. Their science - based educational perspective from Europe as well as the United States makes their company a leading force within many industries, as their technology surpasses the expected quality. Most importantly, this company views social responsibility as apart of whom they are and what they strive to become. Their ethical values towards the environment, their customers, and their industrial connections is what they surround their personal vision on. Over many decades, Meopta Sports Optics has expanded their range of products and has created many different series within each product category. Their riflescopes and spotting scopes are what Meopta Sports Optics are known for. They have seven different series of riflescopes, with new choices that arise within each series as they progress technologically. They have two different series of spotting scopes, as well as many different accessories that go along with each product line that they have created. They also have accessories that compliment their main products in the form of covers, tripods, and cases. They also sell and manufacture binoculars. There are also two different series of binoculars, with many different choices available in each series. Each product has had educational engineering and technological advances invested into them; and as Meopta continues to grow as a company and implements military, industrial, and consumer needs into their products, new and upcoming products will be added to their company, and possible updates to their current lines will occur. Each and every day, Meopta Sports Optics is expanding and becoming more known throughout the world, beyond Czech Republic. They have many different products, but they are known, specifically, for the quality of their optics. This company has been more known in the Czech Republic area, but as their products have been spread out though the United States, their scopes have become more popular, especially those that are for the low lighting. Each lens has great quality that produces successful moments for hunters and outdoor enthusiasts. Out of all of their products, the riflescope seems to be the most popular, as they attract hunters from many different areas, and provide the most assistance in bringing consistent success while hunting. Hunting is a sport that may bring frustration or success, and depending on how you approach it, either will be met. Meopta Sports Optics, although not as popular or known, has precise quality and high clarity products that may help hunters excel in all that they do. Whether you are in need for binoculars, or in need of a scope, this company has valued ethics and products that have technologically been advanced, for every hunter’s needs.